On Tuesday, January 26, the 2nd Foreign Engineer Regiment (2e REG) of the Foreign Legion conducted a ceremony to pay homage to its members, the six legionnaires killed in the French Alps because of an avalanche. See some nice pictures of legionnaires from the French Foreign Legion’s 4th Foreign Regiment (4e RE), the training unit based in Castelnaudary (nicknamed simply as Castel), during the regimental Christmas Challenge 2015. 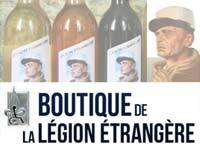 On Monday, January 18, 14 legionnaires from the Foreign Legion’s 2nd Foreign Engineer Regiment (2e REG) were caught by an avalanche while crossing a saddle of the Petit Argentier in the French Alps, during a mountain warfare basic training. The avalanche killed five of them. Nine legionnaires were injured, two of them seriously. 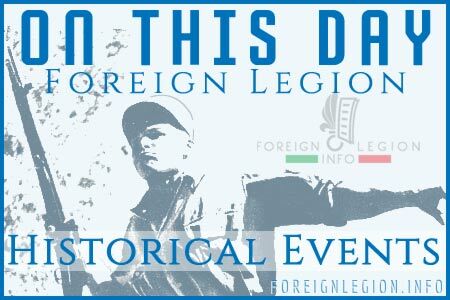 In November 2015, the 3rd Foreign Infantry Regiment (3e REI) of the French Foreign Legion commemorated the 100th Anniversary of its activation. During campaigns in Europe, Morocco, Indochina and Algeria, this famous regiment received 16 unit citations, mentioned in the name of the Army. Because of that, the 3e REI remains the second most decorated unit within the French Army. On 8 December 2015, the 3rd Foreign Infantry Regiment (3e REI), based in French Guiana, returned from Operation Yawasisi, after 10 weeks spent deep in the jungle. An unofficial video showing legionnaires from the Recce Platoon, 2nd Foreign Infantry Regiment (2e REI) testing their weapons at a shooting range located near Nimes, the garrison of the 2e REI in southern France. 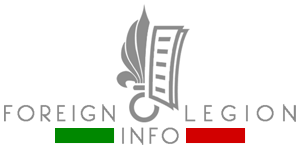 After more than three years, our ForeignLegion.Info website changed its layout. The site is now mobile-friendly, with a fully responsive design. A new logo was also added. I hope that you welcome these changes. For those visitors and supporters using Facebook: to keep you informed, a new FB page will be launched within two weeks.